The only thing missing from Virtual Fly's impressive new flight simulator is the ability to actually fly. 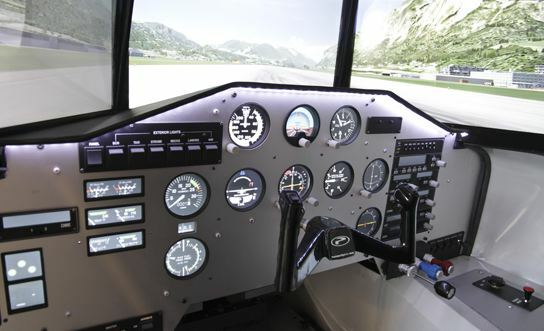 Flight simulators have been around for a long time (over a hundred years now, in fact), but rarely have plane enthusiasts been able to explore the virtual skies with much more than a keyboard, mouse, and mid-level PC rig. Even arcades fall somewhat flat, with low-res screens and wide-open sides that always seem to make sure some annoying six-year-old hitting his friend with Twizzlers is stuck in your peripheral vision while you're trying to maintain altitude. Still, the somewhat small, but very passionate group of gamers who covet the genre continue to persist. Now, Spain-based tech company Virtual Fly is finally ready to give them the near-perfect flight sim experience they've been waiting for. Behold: The OVO-04! 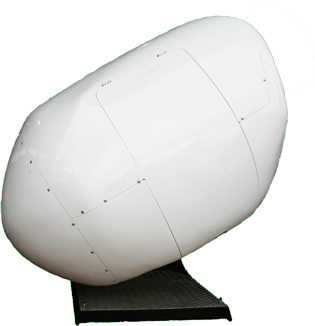 The OVO looks like a giant egg from the outside, and side-mounts to an arm extending from a flat platform support on the ground. Its shape gives the interior the perfect look and feel of an actual cockpit, complete with three 24-inch widescreen displays mounted to create the illusion of a three-pane windshield. Below the screens are a full set of standard aviation controls and gauges, to keep your eyes free to enjoy the sights and your hands on actual instrumentation instead of a numpad. 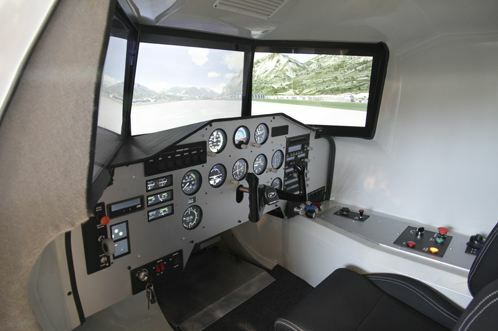 As the user takes off, flies, and lands, the entire rig is programmed to move realistically, meaning you'll feel the rumble of the runway, the tilt of your craft as you bank past a strong draft, and the (hopefully) subtle impact of landing gear touching down after a successful voyage. The rig is also packed with lots of cool little features too, such as a full air ventilation system, interior soundproofing, and low power consumption so your energy bill doesn't break the bank every time you decide to take that relaxing seven-hour long flight to Morocco. The OVO is even roommate/family/couch surfer friendly, reportedly creating almost no external sound from its movement mechanisms. For software, you'll be receiving Microsoft Flight Simulator X along with your purchase of the OVO, but if a different windows-based flight game is more your speed, don't worry, you can load that too. The only downside to the OVO-04 is that it seems like the same brilliant team put in charge of coming up with a creative (or even descriptive) name was also put in charge of making this thing affordable. 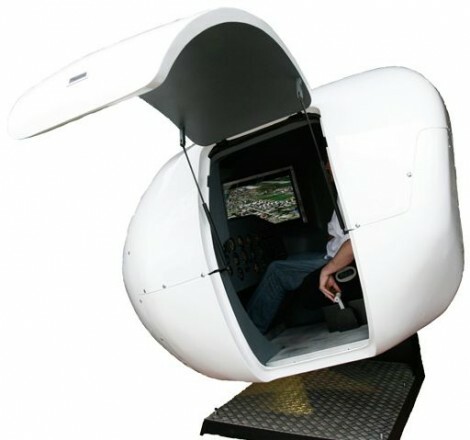 If you just fell in love with Virtual Fly's giant egg, be prepared to shell out $57,500, or as I like to describe it, about $7,000 dollars more than an actual, veteran commercial pilot makes in a year. Still, if you happen to have that kind of scratch just lying around somewhere, selected retailers are currently open for pre-orders.